Disclaimer: I have partnered with Minted to bring you this post. The opinions are 100% my own and are not influenced by Minted. You can always count on me to give my honest opinion and only recommend brands and items that I stand behind. This post also contains Affiliate Links. For more information click here. 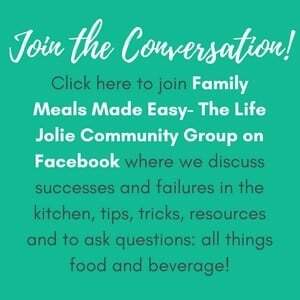 Thank you for supporting the brands that help support this blog! You guys, I have definitely fallen into the new mommy trap of being totally behind. Shortly after T was born, we had some absolutely gorgeous newborn photos taken by Chelse with EIEIO Photography, which I will be sharing later this week. We knew all along that we wanted to send out birth announcements, just like we did with A. But it’s taken me a hot minute to get on top of them. As in they just got mailed this morning (I know, I’m the worst!). 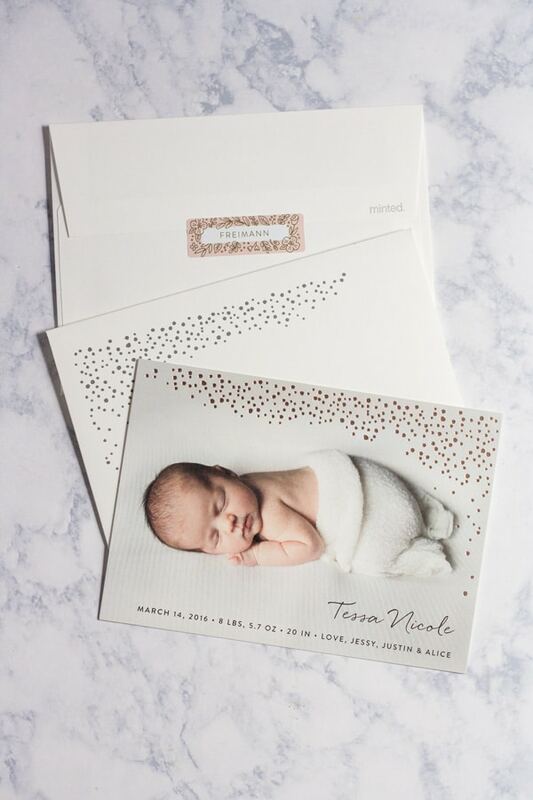 I was right in the midst of trying to decide where to have our birth announcements made when Minted reached out to me with the idea to collaborate. So the first thing I did was a happy dance, because I have been obsessed with Minted for so long. Funny thing is, I’ve spent so many hours getting lost in their incredible art section that I never even looked at the beautiful stationary they have available! Minted is a community of independent artists from all over the world. In addition to offering gorgeous art to decorate your home, they feature other great home and party decor items and many stunning suites of stationary ranging from wedding, to baby, to holiday and everything in between! They actually source their art through ongoing competitions, which I think is brilliant because you know they’re only offering the best of the best. There is seriously something for everyone and with so many beautiful items to see, it’s very easy to spend hours perusing and come out with an endless list of items that you’re dying to get (I may or may not have an extensive list created- hint, hint family…I do have a birthday coming up!). So once I finished my happy dance, I immediately emailed them back and said something along the lines of “Oh-my-gosh-YES-I-would-love-to-work-with-you!” and gushed like the embarrassing fangirl that I am. 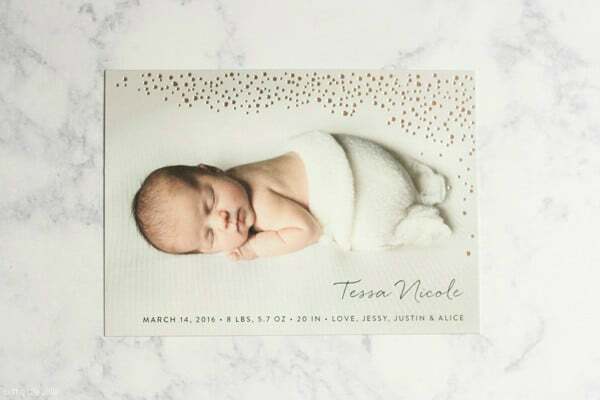 And then I hopped over to the Minted website and got lost in the slew of beautiful birth announcements that are available for purchase. 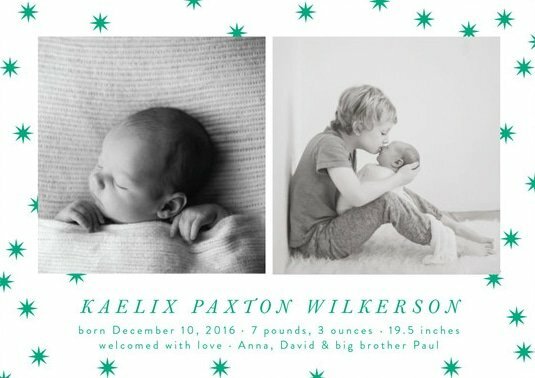 I loved the fact that this Sweet Grid Birth Announcement allows you to include multiple photos. It can be so difficult to choose which photo to use in your announcements. Problem solved! 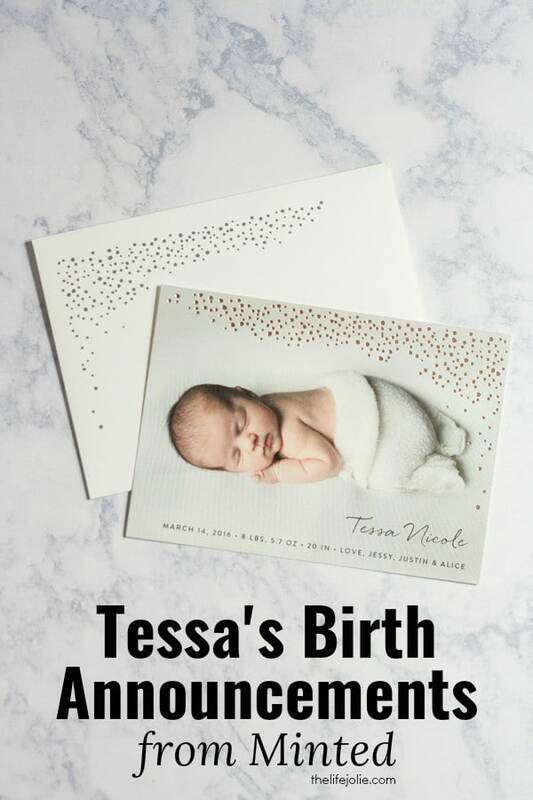 I think the unique design on this To The Point Birth Announcement is so cool. I love how different the writing is, it’s so stylish! The stars on the Etoile Birth Announcement add a really pretty touch. It’s also great that you get an option to add two photos (perfect for twins or when there’s a sibling!). 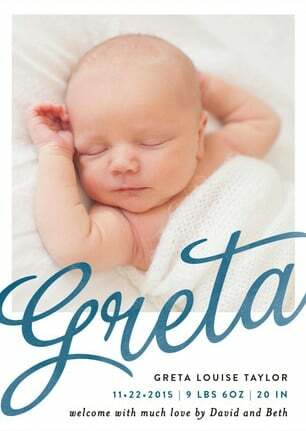 The Sweeping Name Birth Announcement has some great color choices. I love how the name is front and center with the photo. I finally settled on the Golden Dots Foil-Pressed Birth Announcement in Rose Gold. I tend to have a taste for very simple and beautiful designs when it comes to stationary. I love this clean and fresh design, it worked perfectly with our chosen photo of Tess. The Rose Gold dots added a bit of sparkle and dare-I-say glamour without taking away from our sweet girl’s photo. 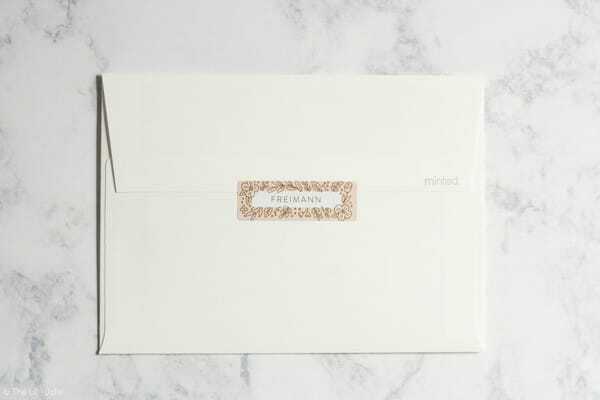 Minted made the checkout process so smooth and painless. While I’m not clueless when it comes to technology, I’m also not extremely savvy. But they made it really easy to get exactly what I wanted. I loved that I was able to personalize the entire announcement. 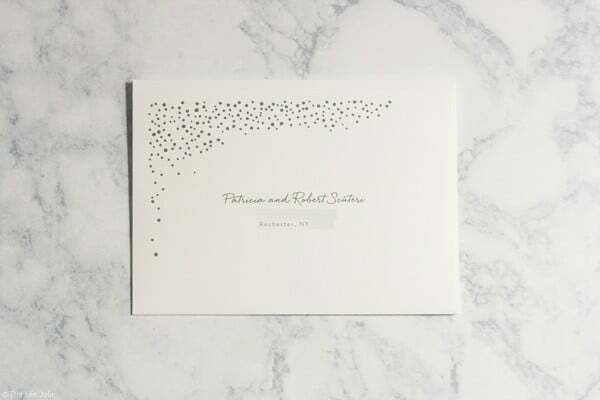 I also thought it was really cool that Minted gives you the option of having them print the addresses on the envelopes for you. What a time saver! They even had an envelope design that corresponded perfectly with our announcement. Upon further inspection, I also found the super-cute Name Labels that Minted has to offer! Of course I had to get some, because we’ve had way too many situations where I’ve forgotten to label one of A’s sweatshirts only to have them not come home from daycare (earlier this year, A put one of her nicer sweatshirt jackets in another kid’s cubby, never to be seen again). The awesome thing about the labels is that they are dishwasher safe, waterproof, laundry safe and non-toxic! And of course so, so pretty! I ultimately settled on Doodle Frame Custom Name Labels in Blush. I think they’re so pretty and feminine and are perfect to label clothing, baby bottles, snack containers and even to seal our gorgeous birth announcements! Suffice it to say, I was more than thrilled to receive our package in the mail recently. They came even quicker than I expected, securely packaged and ready to be stamped and mailed. In even more exciting news, Minted has agreed to set up a giveaway so that one of you, my dear readers, can win a $150 credit to use towards anything on their site. There are so many options, I have no idea how you’ll ever choose! This giveaway has ended. Congratulations to Crystal G., our giveaway winner! July 20, 2016 at 5:28 pm We sent our birth announcements through Minted.com last year and received sooo many compliments! I use them for all of my stationary needs. The site is easy to use and the quality and originality of what they offer is amazing. I know it is still Summer, but as a busy working momma, I am already thinking about Christmas cards, so I would definitely use the $150 towards those and possibly some new art for the empty walls in our living room. July 20, 2016 at 8:40 pm Birth announcements for baby due in November! July 20, 2016 at 9:37 pm Our current need would be for moving announcements. My husband was transferred from Texas to North Dakota! 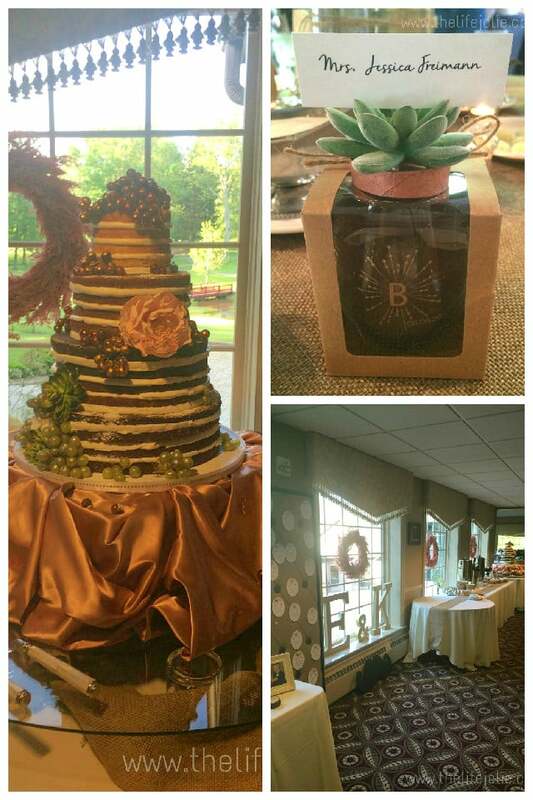 July 20, 2016 at 10:23 pm I will be needing to buy bridal shower invites and related for my bff's shower early next year. July 21, 2016 at 11:24 am So awesome- I hope the shower turns out great! July 20, 2016 at 11:51 pm I would probably spend it on some of the gorgeous children's artwork like To The Stars And Beyond. July 21, 2016 at 11:24 am They really do have some great children's pieces! July 21, 2016 at 12:28 am I would put the gift card towards some throw pillows. They have BEAUTIFUL designs and colors. July 21, 2016 at 11:22 am That's SO gorgeous, it's making me want to go on vacation! July 21, 2016 at 5:45 am Our son and his wife will be having a baby in December. They could use this for the announcements. I love Minted, and everyone always has great things to say about them. July 21, 2016 at 11:21 am What a thoughtful gift for them- congrats on the new little one! July 21, 2016 at 9:26 am I would use it for my college dorm room! The walls are so bare! Minted Artwork=fabulous! July 21, 2016 at 11:20 am I agree there are SO many gorgeous pieces to choose from! July 21, 2016 at 11:27 am I would use them towards my Friends-Giving invitations and Christmas Cards. Thanks for hosting this giveaway! July 21, 2016 at 11:30 am Great idea- always smart to think in advance! July 21, 2016 at 12:47 pm I would use the credit for birth announcements in October! July 21, 2016 at 2:58 pm Our first little pumpkin is arriving this October. 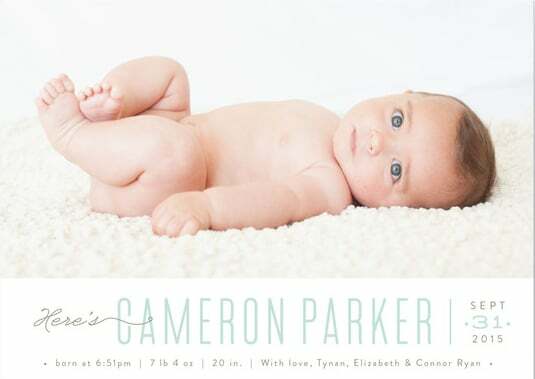 I would love to send out the Birth announcements from minted. SO want to win this and do the cute announcements. July 22, 2016 at 10:00 am Congrats- we are so happy with our announcement!! July 22, 2016 at 9:59 am What a sweet idea for personalized art! July 21, 2016 at 6:12 pm There are so many things to choose from on Minted.com! If I won, I would use the $150 credit towards artwork, photos, and hopefully some announcements for a future baby! July 21, 2016 at 8:38 pm I would use it for my bridal shower or wedding!! 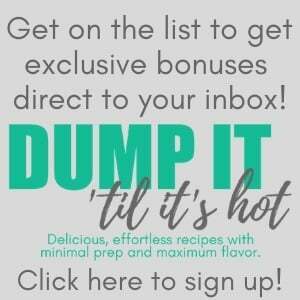 July 22, 2016 at 9:58 am They have some gorgeous options- congrats to you! July 21, 2016 at 10:07 pm I would use the credit for birth announcements for my baby girl due next month! July 22, 2016 at 9:57 am Personalized stationary is always a nice touch! July 22, 2016 at 9:55 am Always smart to think ahead! July 22, 2016 at 9:54 am They really do- you should see how long my wishlist is! July 22, 2016 at 9:54 am I love the shade of green! July 22, 2016 at 6:17 am I would use the $150 credit on new curtains. July 22, 2016 at 9:53 am Good idea- they do have some gorgeous ones! July 22, 2016 at 9:51 am Congrats on your upcoming nuptials! July 22, 2016 at 6:02 pm Thank you! Deciding on things (save the dates, flowers, etc.) is all kinds of stressful! July 22, 2016 at 11:38 am Would love to do birth announcements for a baby due in December 2016! July 25, 2016 at 4:44 pm Congrats- what a great holiday gift! 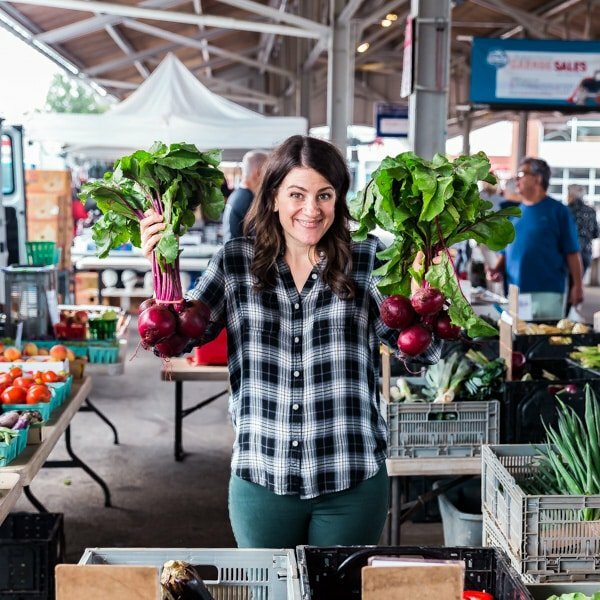 July 25, 2016 at 4:43 pm There are so many great options! July 25, 2016 at 4:39 pm There really are- they have such pretty houseware options! July 25, 2016 at 4:38 pm Smart to think ahead! July 23, 2016 at 10:39 pm I am moving next week after living in a bedroom for years so I would love to purchase some new curtains and Trophy Apothecary Jars. July 25, 2016 at 4:38 pm Good luck with your move! July 24, 2016 at 9:34 am I would love to use it for invitations for my upcoming birthday party! July 24, 2016 at 1:42 pm I would put the gift card towards some throw pillows. July 24, 2016 at 9:32 pm They do have some pretty awesome throw pillows! July 24, 2016 at 3:04 pm I would love to get some of their art prints like Verdant or Mineral! July 24, 2016 at 9:30 pm Oh wow, those are beautiful! July 24, 2016 at 7:37 pm If I were to win I would get some art work for our son's room! July 24, 2016 at 9:29 pm They have great pieces for children's rooms! July 24, 2016 at 10:26 pm I'd use the credit to get some name labels for the things I send with my son to daycare. July 25, 2016 at 4:37 pm We absolutely love the labels- they're perfect for everything and so high quality! July 25, 2016 at 9:40 am I would use it for save the dates or wedding invites! July 25, 2016 at 4:37 pm Congrats! July 25, 2016 at 11:51 am Definitely Christmas cards. I have been so slack on that the past few years. July 25, 2016 at 4:36 pm Us too- we tried and failed last year! July 25, 2016 at 1:14 pm I would get one fine art print and pick pair of window curtains. July 25, 2016 at 4:36 pm I cannot get enough of those gorgeous curtains! July 25, 2016 at 1:23 pm I'd get some year-round stationery like this Blue Wash Personalized Stationery - simple and classy! July 25, 2016 at 5:14 pm I would use the Minted credit to purchase our first Christmas cards with the little ones! July 25, 2016 at 11:09 pm How fun- congrats! July 25, 2016 at 11:09 pm Me too! Congrats! July 25, 2016 at 11:08 pm There are so many beautiful pieces! July 26, 2016 at 12:41 am I love the Fleur Foil-Stamped Wall Art. July 27, 2016 at 9:54 am They really do an excellent job with their foil selections, they're all so beautiful! July 26, 2016 at 12:48 am I would probably use it to get some christmas cards and birthday cards. They have such an awesome assortment. July 27, 2016 at 9:52 am Yes, it's definitely difficult to choose! July 26, 2016 at 12:57 am I love the bubble apothecary jar. Thank you for the chance! July 26, 2016 at 1:05 am I know it is early but Christmas cards!! They have the best selection and I love the foil ones. July 27, 2016 at 9:51 am I think it's smart to think ahead! Yes, the foil options totally have my heart! July 26, 2016 at 1:12 am I really like their photography art pieces, so I would buy one of those for my room. July 27, 2016 at 9:50 am They really do have some fantastic options! July 26, 2016 at 7:35 am I would get some new home decor, maybe some pillows or curtains. Or I would get some stationary! School's not too far after all, and I totally don't mind using back-to-school as an excuse for some new stationary. July 27, 2016 at 9:48 am That's an excellent excuse- there are so many gorgeous stationary options! July 26, 2016 at 10:43 am i would use this creadit to buy thank you cards for my sons grad party! July 27, 2016 at 9:47 am Personalized thank you cards are the best! Congrats! July 26, 2016 at 2:26 pm Holiday cards! July 27, 2016 at 9:47 am I need to get on top of this too! July 27, 2016 at 12:09 am I love the blue watercolor ombre throw pillows. So bright and pretty. July 27, 2016 at 9:46 am They're gorgeous! August 12, 2016 at 4:20 pm Thank you so much for this great giveaway. I can't believe I won. I have had to fight my daughter to check out Minted to figure out what goodies to order. July 27, 2016 at 9:45 am I love the look of photos on canvas! July 27, 2016 at 9:41 am I would send birth announcement for my new grand son, soon to be born. July 27, 2016 at 9:44 am Congratulations! 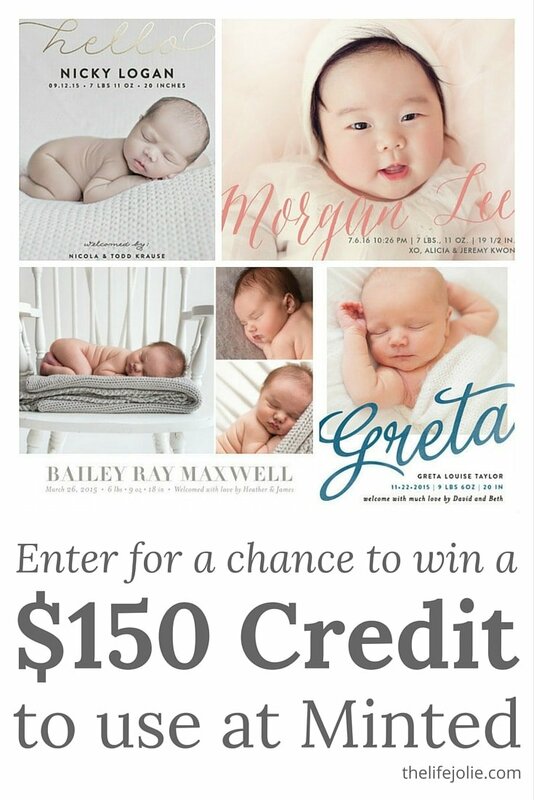 July 27, 2016 at 10:15 am I am due today with my first child and would use the $150 from minted to purchase birth announcements! I love the rose gold announcements you chose - beautiful! July 27, 2016 at 2:20 pm Some of those landscapes are incredible! July 27, 2016 at 11:17 am i want the script grand school calendar! thanks so much for the chances to win. July 27, 2016 at 2:20 pm Great choice! July 27, 2016 at 2:19 pm There are many great options! July 27, 2016 at 7:01 pm We're planning a surprise birthday party for my husband in September. He had 10 brothers and sisters growing up all raised by a single father so my husband never really ever got a birthday party. It will be a great surprise and this will definitely come in handy for the invites. July 27, 2016 at 9:30 pm What an awesome surprise! July 27, 2016 at 7:29 pm I would like to get some pillows. The pretty in pink pillow would be great for my daughters room. The space time pillow would be perfect in my sons room. Im sure some would be leftover and I could buy some for my room! July 27, 2016 at 9:28 pm There are so many great options! July 27, 2016 at 8:50 pm So many cute throw pillows. The Summer Fun style is my favorite. July 27, 2016 at 9:28 pm Love it! July 27, 2016 at 11:46 pm Gosh, so overwhelming to think of the possibilities! I'm thinking of birthday cards for my preschool niece- her dad starts medical school next week! July 28, 2016 at 9:01 am What a thoughtful idea- and so awesome for him starting med school! !